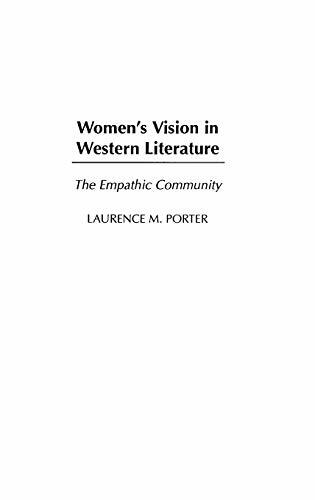 Women'S Vision In Western Literature: 9780313318306 Hardcover - LIMEROCK BOOKS INC.
From ancient Greece through the present day, women writers have confronted the male urge to make war by imagining communities in which intuitive bonding among individuals questions and replaces masculinist values of aggression and competition. Women's Vision in Western Literature traces the gender gap in literature from 600 B.C. to the present day through an examination of seven extraordinary women writers from Sappho to Christa Wolf. Combining close readings with a comprehensive overview of the careers of these women, Porter shows how the threat, the experience, and the aftermath of war incites them to imagine tolerant, empathic communities. This careful consideration of these seven great writers brings to light an underappreciated aspect of Western women's writing. Starting with Sappho, Porter illustrates this ancient poet's ability to rewrite the Homeric war rhetoric to reflect a non-possessive love experience. Marie de France arranges traditional animal fables to imply an open-ended situation-ethics, according to the author, and Madame de Stael―in a Europe torn by Napoleonic conquests―advocates cross-cultural unions among countries. In the works of Mary Shelley, we see the warnings of the dangers of vainglorious, soulless technology, and Virginia Woolf depicts intuitive bonding beyond gender stereotypes, amid the ruins of war and crumbling empire. He shows how Marguerite Yourcenar dreams of a new era of world peace after Hitler's defeat, and how Christa Wolf tries to cope with her country's Nazi past even as she reaffirms European identity threatened by annihilations in nuclear conflict. Examines seven idealistic women writers from England, France, Germany, and ancient Greece and their confrontation with the threat of war.